Should parents have access to their children’s text messages? Should parents have access to their children’s text messages? Republican state Sen. Rich Crandall has proposed a law to require cellphone companies to offer Arizona parents access to their minor children’s texts. Critical thinking and mental toughness expert Steve Siebold, author of the international best-selling book 177 Mental Toughness Secrets of The World Class, and who serves as a regular media source for such hot button issues around children, says it’s imperative for this bill to pass. This is an example of GOOD government intervention because it empowers parents to monitor the most important communication their kids are using today. This would be key to stopping cyber bullying through texting, which is rampant. 160,000 kids stay home from school in America on any given day due to fear of being bullied. Many parents don’t have a clue when it comes to what their kids are doing. They’re living a delusional fairytale that their child is the perfect kid without any problems whatsoever. The reality is many kids, even the ones that come from a good home and are raised with strong ethics and values, fall victim to peer pressure and can easily wonder down a dangerous path. Until a child is 18, parents are fully responsible for their kids and should have access to this potentially life-saving information. 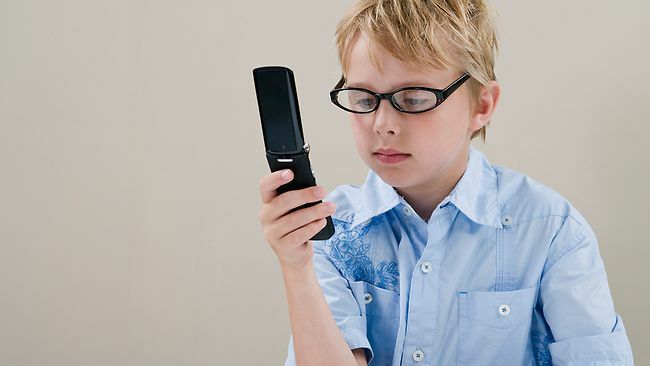 Smart Parent Take: I manage my 10yr old’s iPhone / monitor & review everything from text messages / internet traffic /etc. Yes, I’m a hands-on parent (isn’t this the status quo in today’s digital age) that receives a weekly Pearson PowerSchool report on my child’s progress with classwork / take home assignments / pop quiz’s / etc. You should never put yourself in a situation about “not knowing” what’s going on in your child’s life. You’re a parent 24/7 and the key to success is effectively communicating and setting expectations. Acknowledgement is equally paramount and a mutual respect of one’s space. Regardless, of your parenting style – you’ll do whatever is required to protect them. Here’s an article I posted on several months ago on CYBERBULLYING! yes, Yes, and YES…parents should have access to EVERY THING their kids do online, especially when they’re on the younger side. My friend @DabneyPorte says it simply, “No Passwords, No Tech” meaning you get your kids passwords and FULL access or they get NO access. Way too much bad stuff out there! Tonight at #DadChat we are doing NAGGING which reminds me LNP, you are NOT approving/posting ANY of my posts from Triberr? What gives? Yes, but not because the government says so, it’s just good parenting. Also, @brucesallan, love your comment.